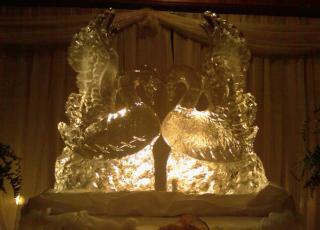 Paul's Halls-Festive Ice Sculptures and The Chocolate Fountain Co.
main sculptures such as classic swans or a centre for every table with perhaps a flower within. now. Wow factor is included! will leave a lasting impression with everyone. Grand Openings, Galas, Birthdays and other events. Visit the Chocolate Fountain Photo Gallery. • Use of fountain for 3 hours • Wooden skewers • Choice of Dark, Milk or White Belgian Chocolate. •Fruit and Dipping item can be supplied for $1.50 / person additional. will work with you to ensure you receive personalized service at its best. 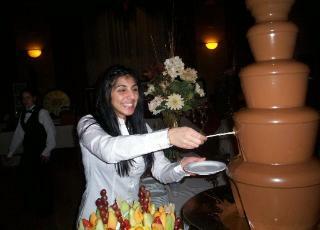 For more information on Chocolate Fountains and pricing please Contact Us. 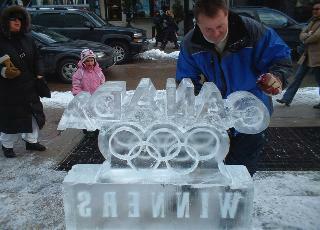 distinctive finishing touch to your special event. weddings, engagements and other functions. 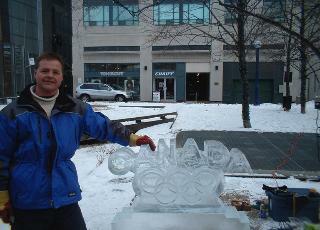 Festive Ice Sculptures and The Chocolate Fountain Co.